How do you inspire the “tech generation” of students to read? 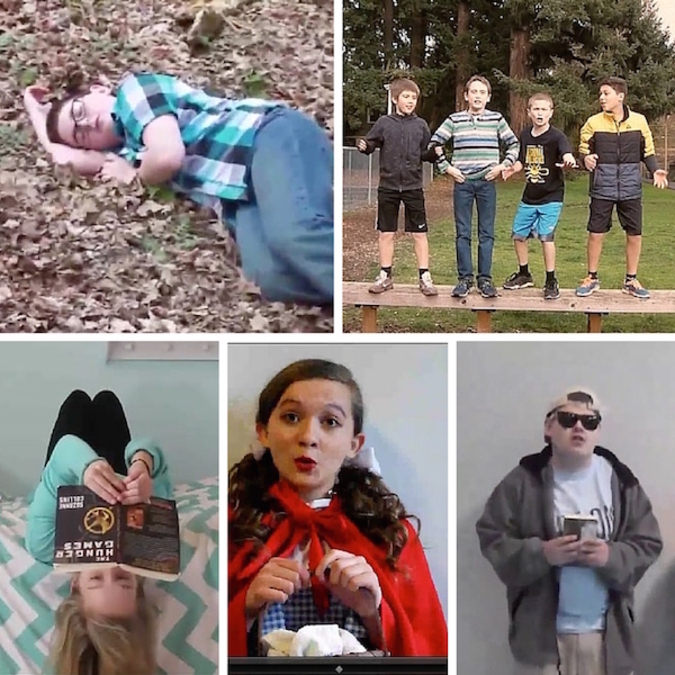 Five teams made that challenge look as easy as A-B-C and are now finalists in the Spellebrity Video Contest sponsored by the Scripps National Spelling Bee and its presenting sponsor, Kindle. Thousands of online votes poured in to narrow down a field of 10 semifinalists to the top five entries now competing to be the video champion. Scripps National Spelling Bee contestants will view the videos and vote for the best entry during the 2016 Bee Week to select the champion video. Each member of the championship team will receive $1,000 cash and a Spellebrity trophy.